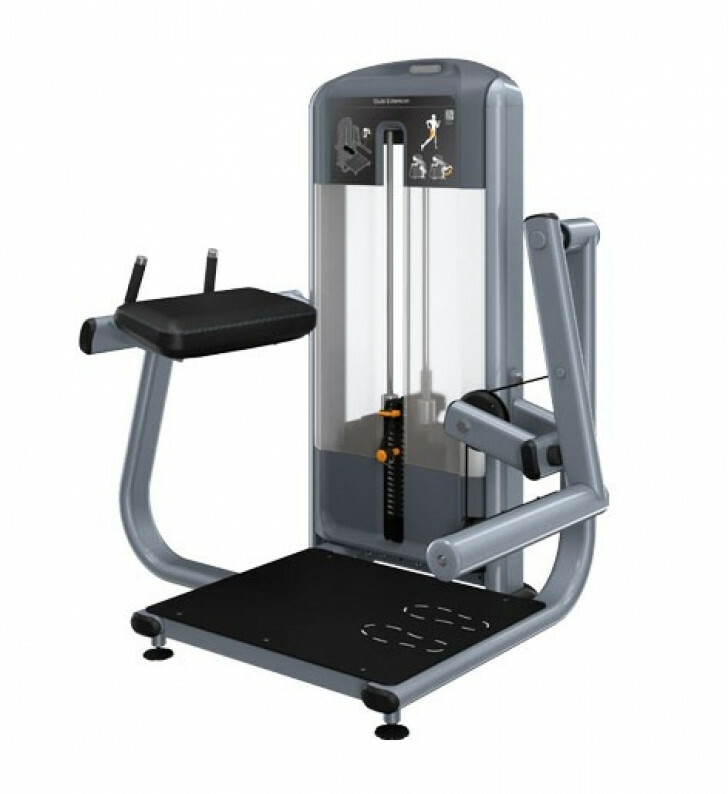 The sound biomechanics of the Discovery Series Selectorized Line Glute Extension deliver a unique, targeted workout for the user. Elbow pad, handles and large base platform stabilizes the user during exercise and delivers a smooth, flowing and precise motion. cable	 3/16 inch (7"x19") aircraft cable coated with black pressure-extruded nylon to 1/4 inch or 1/8 inch and coated to 3/16 inch. Frame	 11 gauge (.120 in) 2x4" electroweld steel racetrack tubing. Movement arms are made of electroweld steel round tubing.